After a childhood full of music lessons and exploring the natural world while growing up in eastern Tennessee, Joy Tanner redirected her creative focus when she discovered clay in college. In 2004, she received a Bachelor of Fine Arts degree in Ceramics at the University of Tennessee at Chattanooga. She then pursued a Resident Artist position at the Odyssey Center for the Ceramic Arts in Asheville, North Carolina. In 2007 Joy established her own clay studio near Penland School of Crafts in Bakersville, North Carolina. Immersing herself in the beautiful mountains has greatly inspired her work and her life. 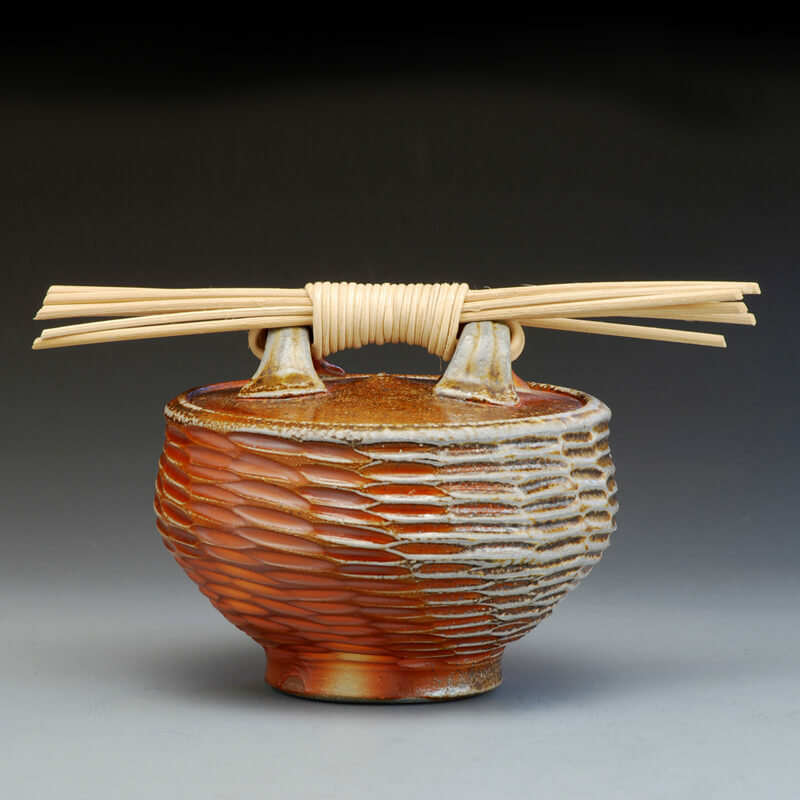 Reflections of detail and pattern are a distinctive element within Joy’s pottery, and she enjoys getting deep into the creative process with such a responsive material as clay. In the summer of 2010, she was awarded a summer residency at the Watershed Center for the Ceramic Arts in Newcastle, Maine where she concentrated on making one of her favorite ewer forms. Joy then completed a three year Artist Residency at the EnergyXChange in Burnsville, North Carolina. In 2014 Joy and her husband William Baker, (also a potter) built their own studio, Wood Song Pottery in Bakersville, NC where they now live and work. She is a member of the Southern Highland Craft Guild, Piedmont Craftsmen, and the Toe River Arts Council and exhibits her work in regional and national galleries. She enjoys her creative life with her husband and small daughter in the quiet mountains of North Carolina.